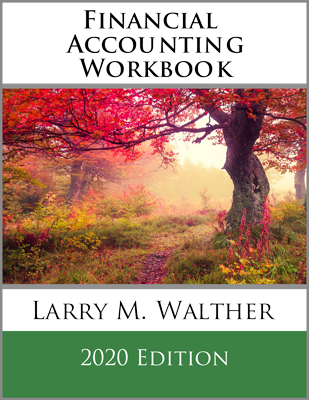 You likely have a general concept of accounting. Information about the transactions and events of a business is captured and summarized into reports that are used by persons interested in the entity. But, you likely do not realize the complexity of accomplishing this task. It involves a talented blending of technical knowledge and measurement artistry that can only be fully appreciated via extensive study of the subject. You may also know what a surgeon does, but you can certainly appreciate that considerable knowledge and skill is needed to successfully treat a patient. If you were studying to be a surgeon, you would likely begin with a basic human anatomy class. 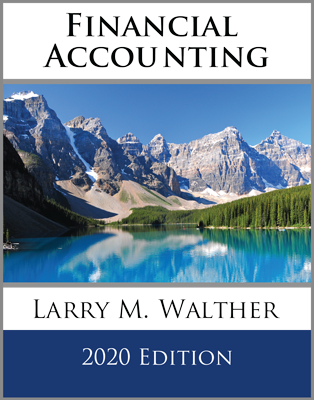 In this chapter, you will begin your study of accounting by looking at the overall structure of accounting and the basic anatomy of reporting. Be advised that a true understanding of accounting does not come easily. It only comes with determination and hard work. If you persevere, you will be surprised at how much you discover about accounting. This knowledge is very valuable to achieve business success. 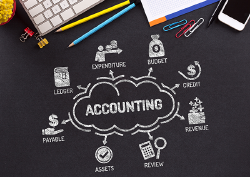 Let’s begin with a more formal definition of accounting: Accounting is a set of concepts and techniques that are used to measure and report financial information about an economic unit. The economic unit is generally considered to be a separate enterprise. The information is reported to a variety of different types of interested parties. These include business managers, owners, creditors, governmental units, financial analysts, and even employees. In one way or another, these users of accounting information tend to be concerned about their own interests in the entity. Business managers need accounting information to make sound leadership decisions. Owners and investors hope for profits that may eventually lead to distributions from the business (e.g., “dividends”). Creditors are always concerned about the entity’s ability to repay its obligations. Governmental units need information to tax and regulate. 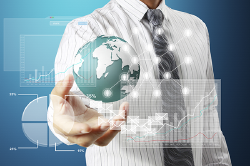 Analysts use accounting data to form opinions on which they base investment recommendations. Employees want to work for successful companies to further their individual careers, and they often have bonuses or options tied to enterprise performance. Accounting information about specific entities helps satisfy the needs of all of these interested parties. The diversity of interested parties leads to a logical division in the discipline of accounting. Financial accounting is concerned with external reporting to parties outside the firm. In contrast, managerial accounting is primarily concerned with providing information for internal management. One may have trouble seeing the distinction; after all, aren’t financial facts being reported? The following paragraphs provide a closer look at the distinctions. Consider that financial accounting is targeted toward a broad base of external users, none of whom control the actual preparation of reports or have access to underlying details. Their ability to understand and have confidence in reports is directly dependent upon standardization of the principles and practices that are used to prepare the reports. Without such standardization, reports of different companies could be hard to understand and even harder to compare. Standardization derives from certain well-organized processes and organizations. In the United States, a private sector group called the Financial Accounting Standards Board (FASB) is primarily responsible for developing the rules that form the foundation of financial reporting. The FASB’s global counterpart is the International Accounting Standards Board (IASB). The IASB and FASB are working toward convergence, such that there may eventually be a single harmonious set of international financial reporting standards (IFRS). This effort to establish consistency in global financial reporting is driven by the increase in global trade and finance. Just as standardization is needed to enable comparisons between individual companies operating within a single economy, so, too, is standardization needed to facilitate global business evaluations. 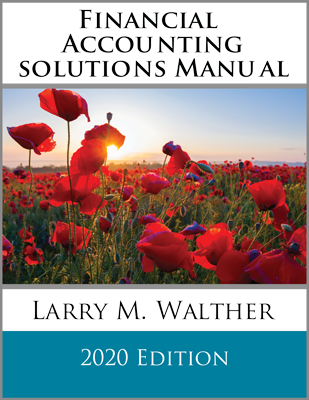 Financial reports prepared under the generally accepted accounting principles (GAAP) promulgated by such standard-setting bodies are intended to be general purpose in orientation. This means they are not prepared especially for owners, or creditors, or any other particular user group. Instead, they are intended to be equally useful for all user groups. As such, attempts are made to keep them free from bias (neutral). Standard-setting bodies are guided by concepts that are aimed at production of relevant and representationally faithful reports that are useful in investment and credit decisions. Managerial accounting information is intended to serve the specific, and varied, needs of management. Business managers are charged with business planning, controlling, and decision making. As such, they may desire specialized reports, budgets, product costing data, and other details that are generally not reported on an external basis. Further, management may dictate the parameters under which such information is to be accumulated and presented. For instance, GAAP may require that certain product development costs be deducted in computing income; on the other hand, management may see these costs as a long-term investment and stipulate that internal decision making be based upon income numbers that exclude such costs. This is their prerogative. Hopefully, internal reporting is being done logically and rationally, but it need not follow any particular set of mandatory guidelines. Both financial accounting and managerial accounting depend upon a strong information system to reliably capture and summarize business transaction data. Information technology has radically reshaped this mundane part of the practice of accounting over the past 50 years. The era of the “green eye-shaded” accountant has been relegated to the annals of history. Now, accounting is more of a dynamic, decision-making discipline, rather than a bookkeeping task. Accounting data are not absolute or concrete. Considerable amounts of judgment and estimation are necessary to develop the specific accounting measurements that are reported during a particular month, quarter, or year. For example, how much profit is actually earned when a car is sold with a 3-year warranty? It will be three years before the final costs of the warranty agreement are all known. One approach would be to wait three years before reporting on the profit or loss for this transaction. However, by the time the information could be reported with certainty, it would be so stale as to lose its usefulness. Thus, in order to timely present information, reasonable estimations are routinely embraced in the normal preparation of periodic financial reports. In addition, accounting has not advanced to a state of being able to value a business. As such, many transactions and events are reported based on the historical cost principle (in contrast to fair value). For example, land is typically recorded and carried in the accounting records at the price at which it was purchased. The historical cost principle is based on the concept that it is best to report certain financial statement elements at amounts that are tied to objective and verifiable past transactions. The alternative is to value (and periodically revalue) accounts based upon subjective assessments of current worth. Such adjustments are problematic and the subject of much debate. Nevertheless, the current trend in global standard-setting is toward an increased acceptance of the circumstances under which fair value accounting is deemed acceptable for selected financial statement elements. The ongoing debate about fair value versus historical cost is often cast in the context of a tradeoff between the “relevance” of fair value information and the “reliability” of historical cost information. This debate is apt to continue, and the related accounting standards will likely be in an evolutionary state for many years to come. Nevertheless, it is reasonable to expect that the accountant of the future will be increasingly skilled in valuation issues. Identify five typical users of accounting information. Distinguish between financial and managerial accounting. Identify the United States private sector accounting standard setting body. Identify the global accounting standard setting body. Understand how technology has reshaped accounting from bookkeeping to a decision-making discipline. Define the principle of historical cost. Understand the trade off between relevance and reliability, particularly related to valuation issues.